A recent amendment to the Firearms Prohibition Order in NSW has given police increased powers to search for and confiscate illegal firearms. 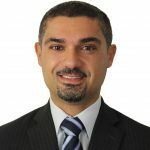 The Firearms Amendment (Prohibition Orders) Bill was implemented in November 2013 in a bid to deter bikies and other criminal gang members from possessing illegal weapons. Under the amendment, police have the right to search the homes of people who have been served with a firearms prohibition order, as well as stop and search them in the street without having to obtain a separate warrant first. What is a firearms prohibition order? 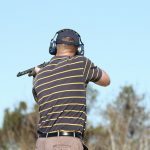 Firearm ownership is tightly regulated in NSW, and anyone who wants to own a firearm needs to apply for a licence and undergo specific safety training. Part of the process of applying for a firearms licence involves undergoing stringent background and criminal record checks. If you have a criminal record or have been issued with an AVO at any time in the previous ten years, you may be prohibited from possessing a firearm. 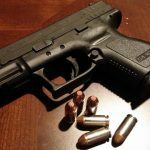 This means that you will not be able to legally possess a gun, and if you are found in possession of a firearm, you could face criminal charges and a conviction. A firearms prohibition order can be given to anyone who the police believe is unfit to possess a firearm. 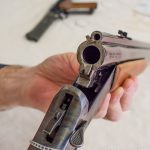 There are certain grounds for revocation of a person’s firearms licence, which will automatically mean they are prohibited from possessing a firearm. These include any criminal conviction for a violent offence, being the subject of an AVO, or failing to undergo mandatory training requirements. Once someone has been issued with a firearms prohibition order they are not allowed to use or own a firearm, part of a firearm or ammunition. They are also not allowed to live in premises where firearms are kept, or to attend premises where guns may be available. Under the previous law, police didn’t have the power to search the homes of people who were under a firearms prohibition order unless they first obtained a separate warrant. The new changes brought about last year mean that police can now search the homes and person of anyone who has been issued with a firearms prohibition order. This has led to a significant increase in the number of firearms prohibition orders issued to criminal gang members. What can I do if I’ve been issued with a firearms prohibition order? If you have had your firearms licence revoked and you don’t agree with the circumstances and reasons for revoking it, you can appeal. If you’ve had your licence revoked or suspended, or if you have been issued with a firearms prohibition order, you will be required to surrender any firearms you have in your possession to the firearms registry. If you don’t surrender your weapons, they can be seized by police. Police will also, under the new legislation, have the right to search your premises for concealed weapons. You can appeal a firearms licence suspension or revocation in some circumstances, depending on the reason for the refusal. If you are under a firearms prohibition order, however, there is no avenue of appeal, or right of review. It’s a good idea to speak to a lawyer experienced in firearms cases if you want to appeal a revocation of your firearms licence or if you have been issued with a firearms prohibition order. If you are issued with a firearms prohibition order, police have the right to search your home or to stop you and search you for weapons on the street without the need for a warrant. 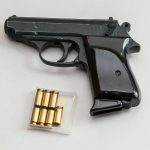 If you are found in possession of a firearm or other prohibited weapon, without a licence or after being issued with a firearm prohibition order, you could face serious criminal charges.